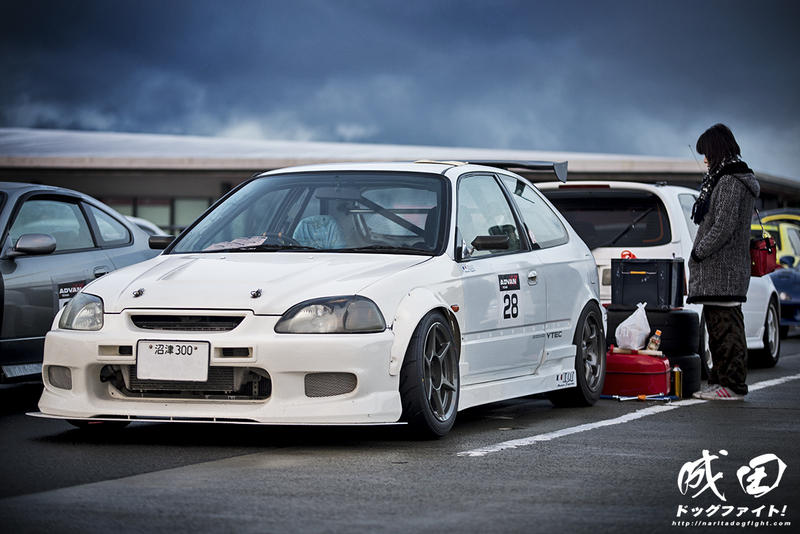 For as long as I can remember, there has always been one Civic build that I’ve always looked up to. Of course, it was in Japan, and of course I was blessed with seeing it on Minkara for years on end. 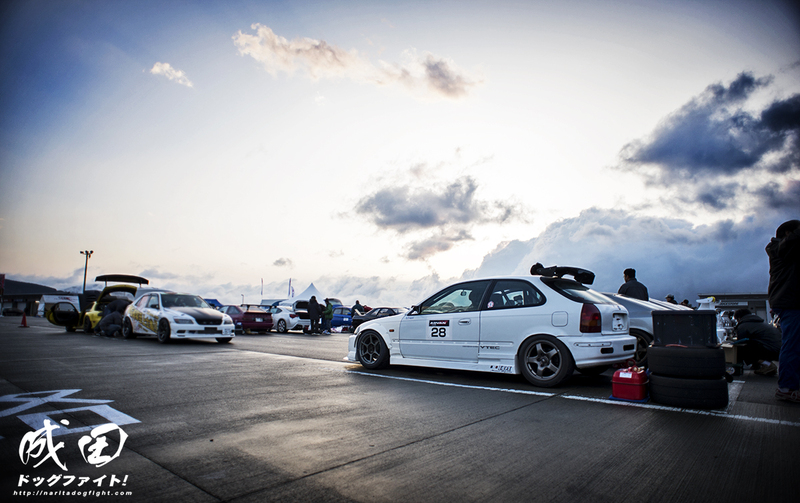 It was one of the sole reasons why I initially turbocharged my own Civic (albeit a coupe and not a hatch). 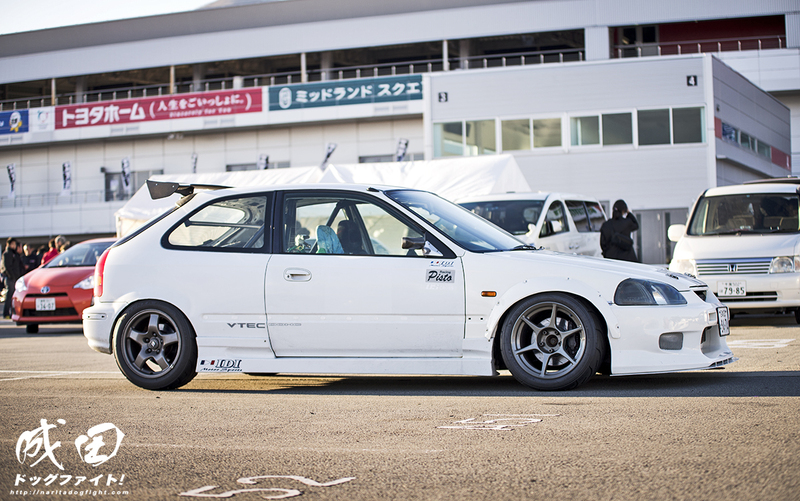 The styling, the motor setup, the entire aura of the car has something that no other Civic has. 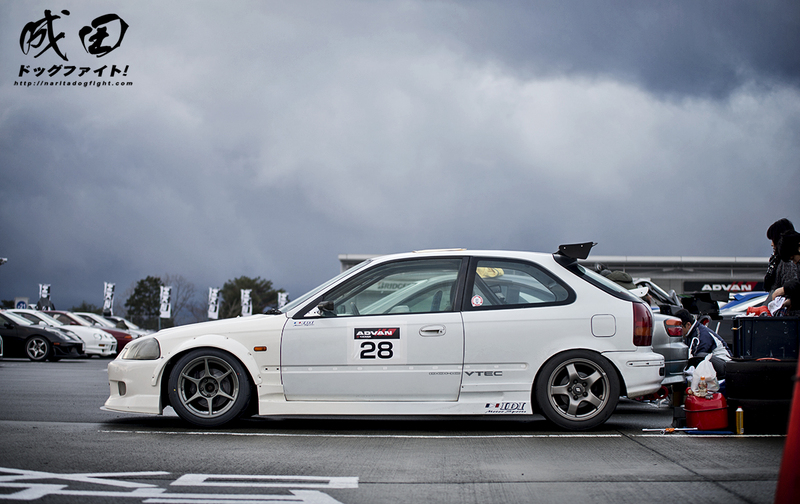 For that reason, this car has always been know to me as “THE EK”. …and the Potenzas in the rear. With 5-lug conversion all around he’s able to run the R32 wheels in the rear and maintain a stock rear disc brake setup. The raw exterior look adding to the whole vibe the car gives off. 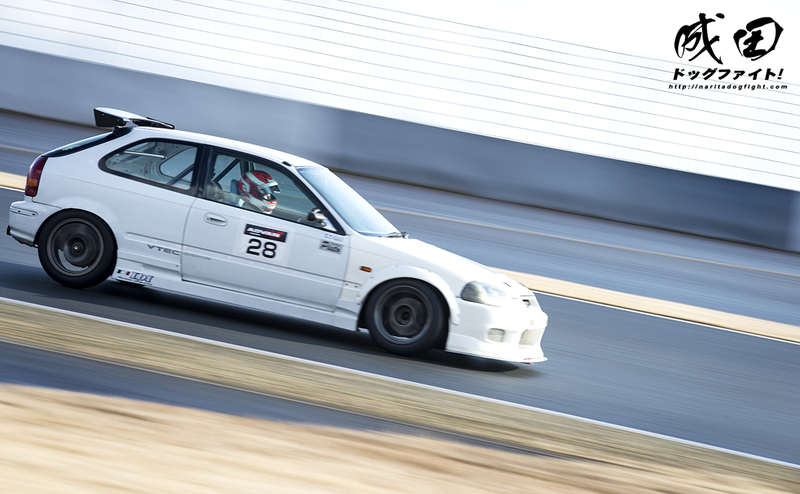 The interior houses a 6-point cage and several other chassis braces to help stiffen the chassis, and provide safety while slamming around Fuji Speedway and other courses. 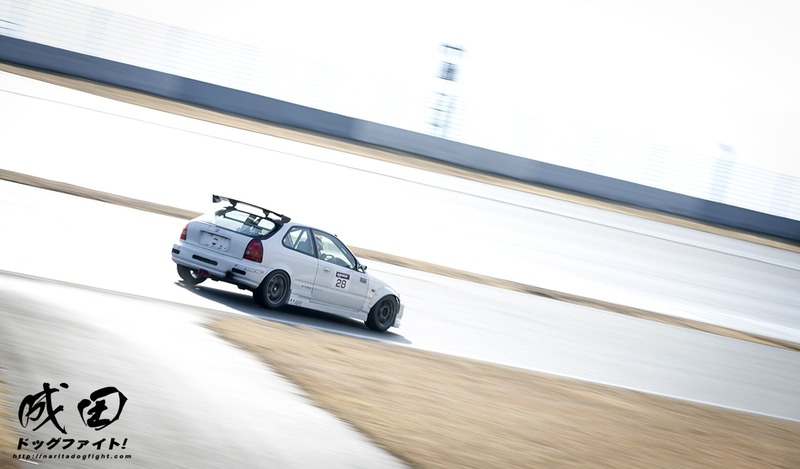 From this angle you can get a good view at how much the car is staggered. The front is at least a good 20mm wider than the rear wheels. The riveted on front flares do a good job of taking the extra width of the front wheels. 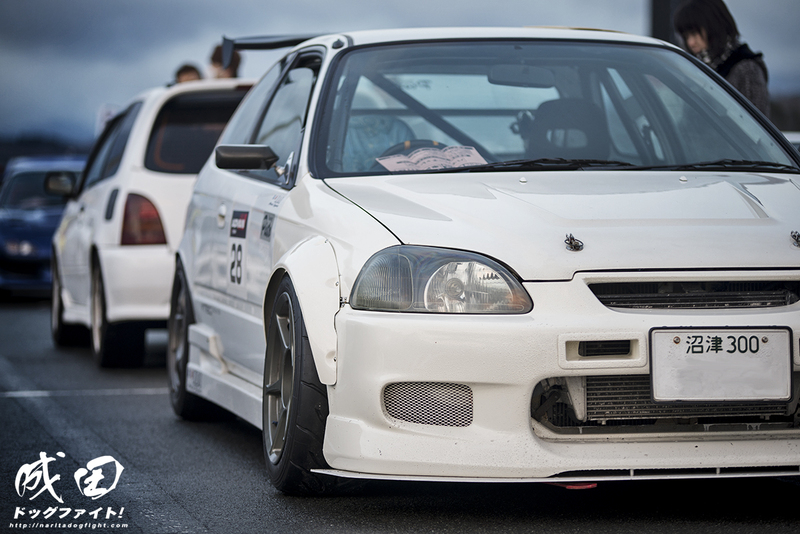 You can also see the C-West front bumper that houses behind it the front mount intercooler. The car is turbocharged. Yes, it is pretty uncommon in Japan. It’s just one more point about the car that makes it so unique among a sea of others. On track it emits that same aura. 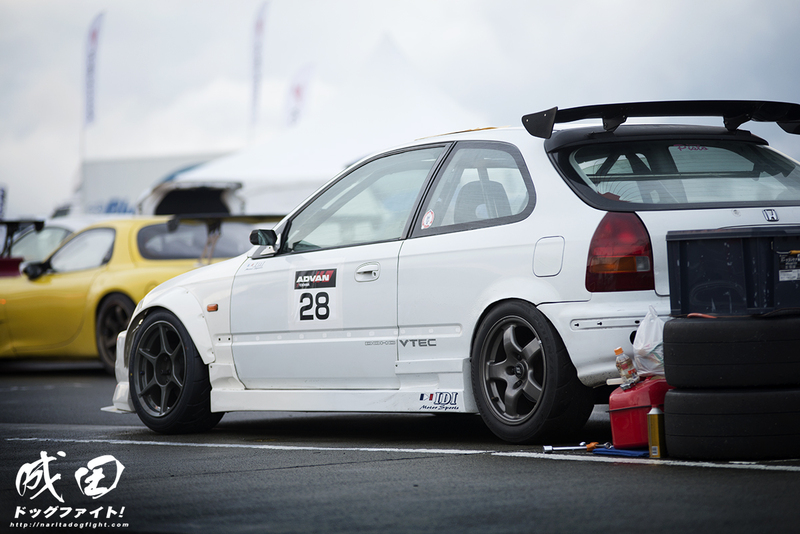 As it wound it’s way around Fuji, you could tell that the car was sincerely dedicated to circuit racing. Holding it’s own among the rest of the field; Skylines, Supras, Altezzas, etc. Extremely thrilled that I got to see this actual car in person, after following the build for so many years. 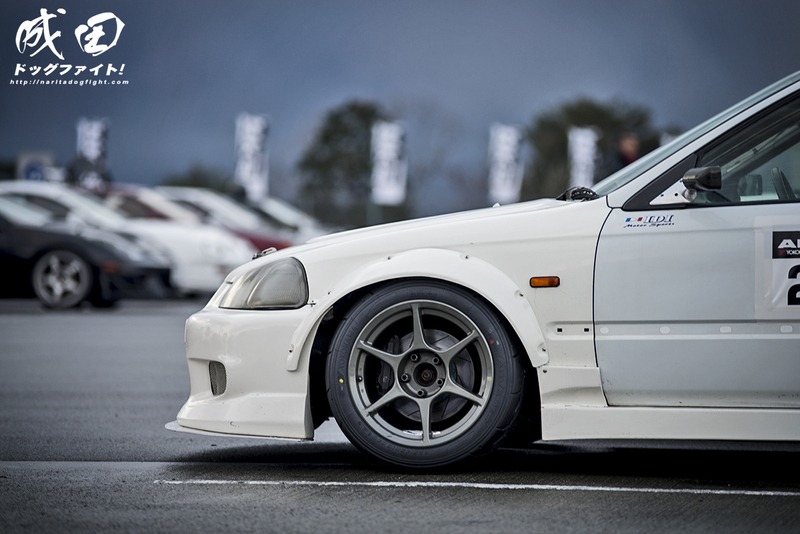 Keep checking back for a full series of posts from HKS Premium Day coming up soon. Hi, loving the article, too bad there arent any spec info mentioned also pictures from the interrior and enginebay would be awesome! 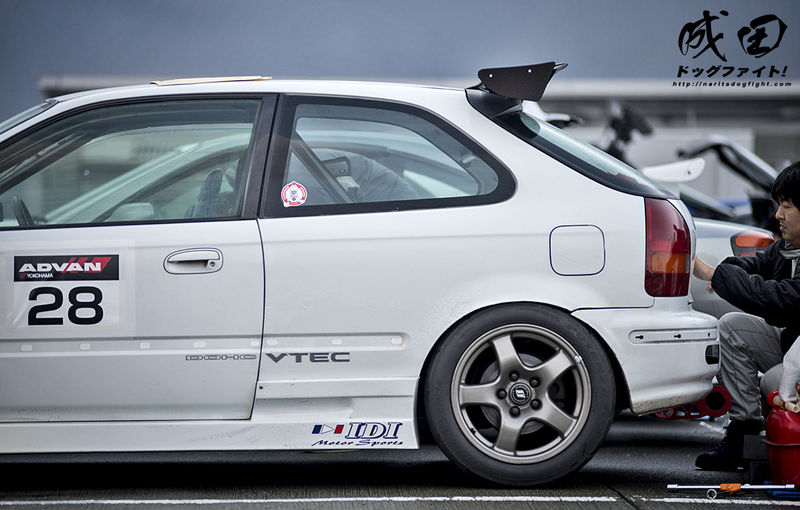 I love how focused the car is, i hope we see this in future posts, THE EK.